The blade width (1") for my resawing is working out great. yes I would recommend this bandsaw blade , and you might consider hand held metal detectors as a add on item in your ads, must say also the blade got here sooner then expected thank you all. the blade cuts heavy wall plastic pipe quickly and without binding. I purchased this product to mount onto my Grizzly model G0513X2B. This is the second time that I have purchased this model of blade. It is extremely effective for re-sawing, with a long life. produces a pretty smooth cut. 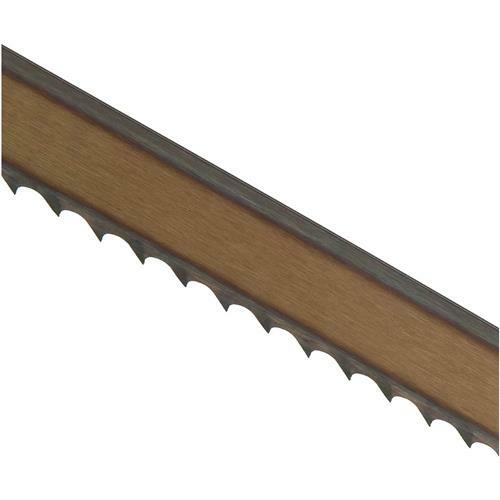 Has a relatively thin cut, so you do not waste material while re-sawing. Because of the width of the blade, it is difficult to mount, however, once mounted, this blade performs extremely well. Does a good job of rough sawing pecan logs into usable lumber. The re-sawing that I have done makes me glad I purchased this size of blade. It's large and stiff so it makes a straight cut. Bought mainly for resawing. Awesome machine. 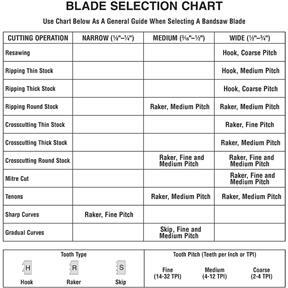 I have not used this purchase yet but have the same blade in my saw and it has been long lasting.